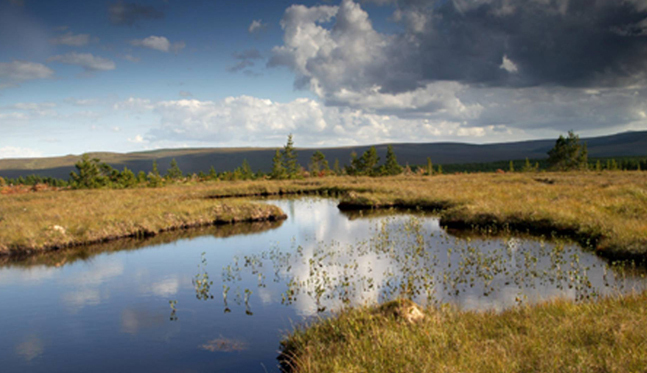 Coillte is committed to the sustainable management of its land, balancing economic, social and environmental impacts. Coillte has chosen to adopt the 'Global Reporting Initiative' as the basis for the Coillte Groupâ€™s 2009 Sustainability Report. This will assist in greater transparency in our reporting, increased measurement of the impact of our activities and provide a basis for targeting improvements in areas where we could operate in a more sustainable fashion. Sustainability means taking a holistic view of how organisations operate, assessing performance along three main dimensions: economic viability, social responsibility, and environmental responsibility and recognising and managing the overlap and potential conflict between competing objectives. Coillteâ€™s core purpose is to "enrich lives locally, nationally and globally through innovative and sustainable management of natural resources". Sustainability is at the heart of all of our activities and is a common theme in our goals and objectives. In line with this, it has been selected as a Key Performance Indicator (KPI) for the company as part of our transformation process. Building powerful relationships with our customers, our partners and our people. Our commitment to the innovative and sustainable management of natural resources runs through all of our activities. Since 2001 our forests have been certified by forest certification standards as being managed responsibly in accordance with stringent environmental, social and economic criteria. This certification enables our customers to market their products as having been sourced in well managed forests. Our SmartPly OSB and Medite MDF panel products are similarly certified giving assurance to discerning customers. Coillte provides a wide range of 'public goods'. Extensive recreation facilities are provided in Coillteâ€™s forests including Irelandâ€™s best mountain biking facilities. Over fifteen per cent of our estate is actively managed for nature conservation. and recreation partnerships like the Dublin Mountains Partnership are showcase projects that demonstrate best practice natural resource management. All of the above have positive economic, social and environmental impacts.